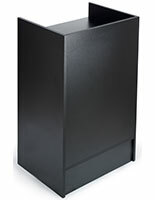 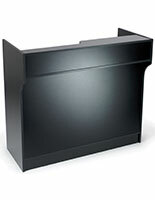 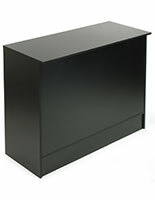 Measures 18" x 38" x 18"
This black corner shelving makes a great point of sale fixture with its open design. 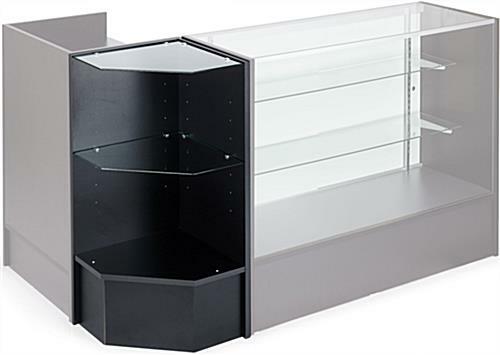 The retail stands are made of melamine with a neutral finish with tempered glass shelves for displaying merchandise. 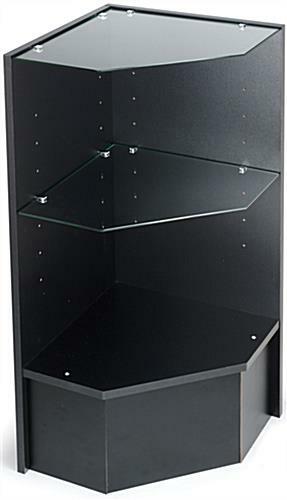 The corner shelving stands 38" tall and features a width and depth of 18". 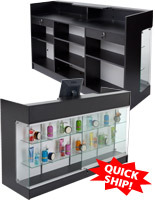 Each of the cabinets ships disassembled to reduce shipping costs, but can be set up easily. 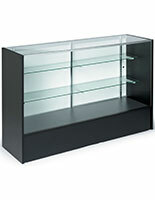 The retail shelving's glass panels are adjustable to allow for both small and large wares. 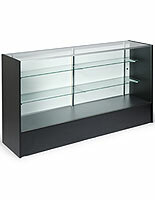 The point of sale cabinets match the MRC series of display cases, but they can be placed by themselves. 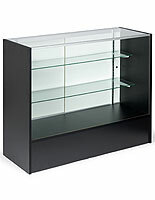 Note: This corner display unit arrives disassembled. 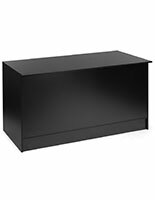 18.0" x 38.0" x 17.5"